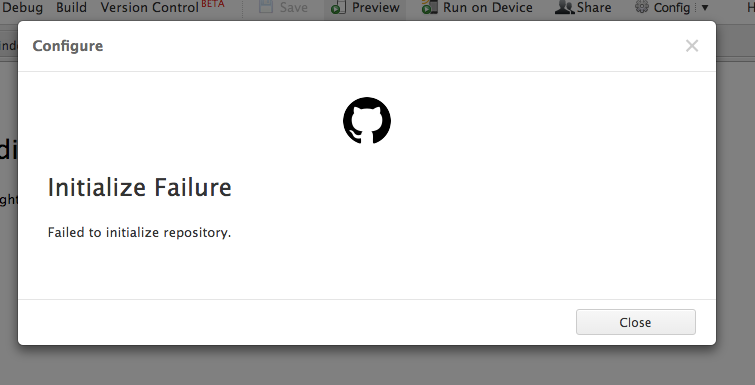 I created a GitHub repository, sync’d it, and then deleted the repository. Now when I try to reconnect I get the following Initialization Failure. I tried several times and ways to correct, but it seems it’s a “one strike and you’re out.” Is there a way to workaround this? Git integration is still in Beta so you may still encounter this kind of issues.